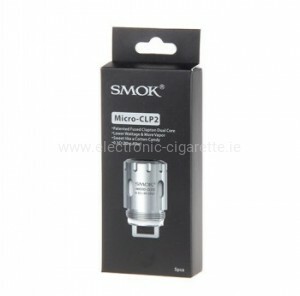 An vaping device liquid from one of the largest Vapor manufacturers worldwide. This liquid series is based on the basic flavor composition of propylene glycol (PG) and vegetable glycerol (VG). This basic composition is largely neutral in flavor. The steam produced in the e-cigarette has a slightly sweetish undertone. This is not affected by the optional admixture of nicotine. 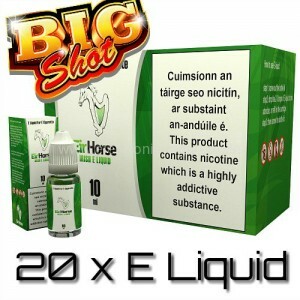 In addition to the tobacco varieties, the menthol-containing liquids are also very popular. 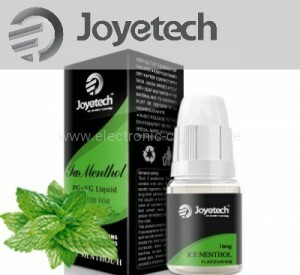 We offer you a classic Menthol and a tingling Ice Menthol from Joyetech. 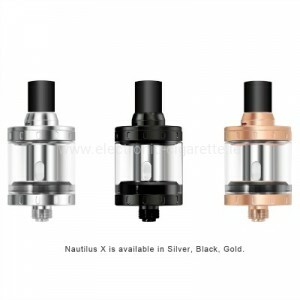 It is only by the addition of flavor mixtures specially developed for the Joyetech E-Liquids that a steam is produced that fills one or the other steamer. 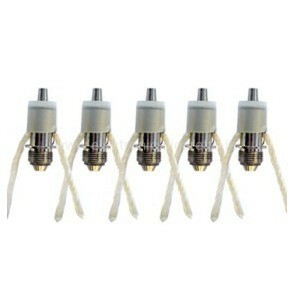 We have been selling the Joyetech for several years and it has developed very well from the sales figures. Therefore, as part of our own statistics, we can say that the Joyetech are gaining in popularity, and this is generally the case, as this liquid is offered worldwide. In addition to the delicious flavoring of the Joyetech Liquids, Joyetech convinced us above all: In Clearomizer of e-cigarettes, heating elements made of metals are constantly heated and cooled again. This causes wear. Liquid deposits also occur on the heating elements, which reduce the performance thereof. These deposits are different for different flavors. What is striking, however, is the fact that the liquid developed by the e-cigarette hardware market leader leads to very low deposits, which was significantly different in the case of inferior liquids we have tested.